Do you believe in Egyptian magic? History claims they could do everything from exorcising demons, defeating enemies and had plenty of love spells? In fact, such spells have been found in the Handbook of Ritual Power, a 20-page codex from the 8th-century which Malcolm Choat at Macquarie University and Iain Gardner at the University of Sydney have now decoded. The researchers found 27 spells in the Coptic codex. The spells come from an era in Egypt in which many people were Christian and some of the spells actually reference Christ. 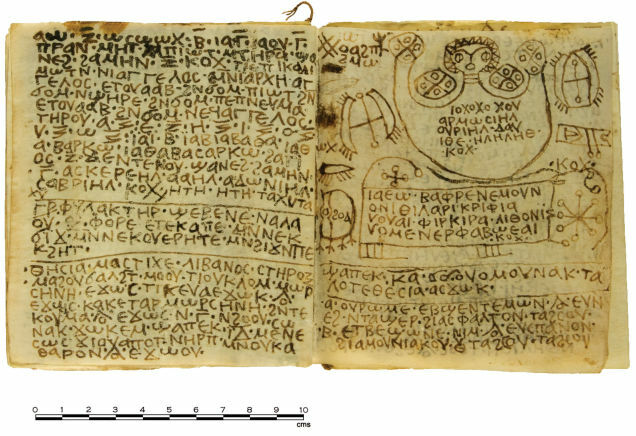 Do you believe Egyptian magic as represented in this codex has any power at all? Or do you even doubt the historical value of the document? Fans of Egyptian wisdom are able to buy accessories at Etsy. Shops liek Timeslide sell polished agate amulets from 1800 BC while others like Phytognosis offer up Ancient isis incense blends. Pagan Scrapbook Supply is even offering digital downloads in the style of magic spell pages so you can build your own grimoire.